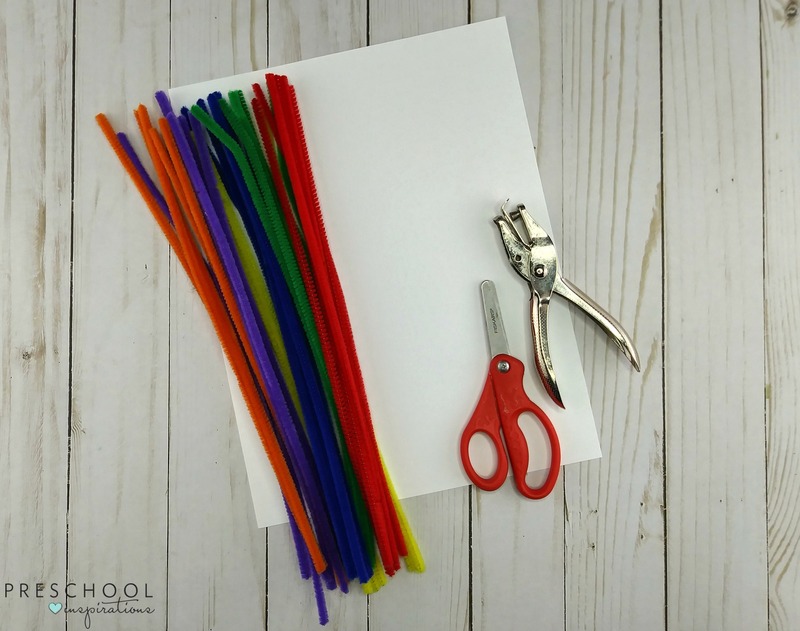 Make this fun and inviting preschool rainbow craft with paper and pipe cleaners (chenille stems)! This activity is perfect for St. Patrick’s Day or for spring. 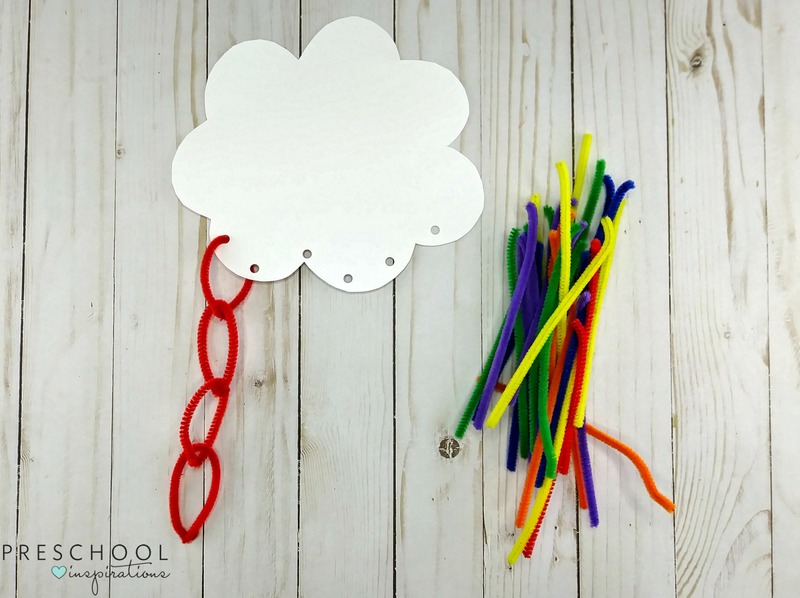 This easy-to-make craft would be a great addition to your weather unit and fun way for your preschoolers to develop their fine motor skills. 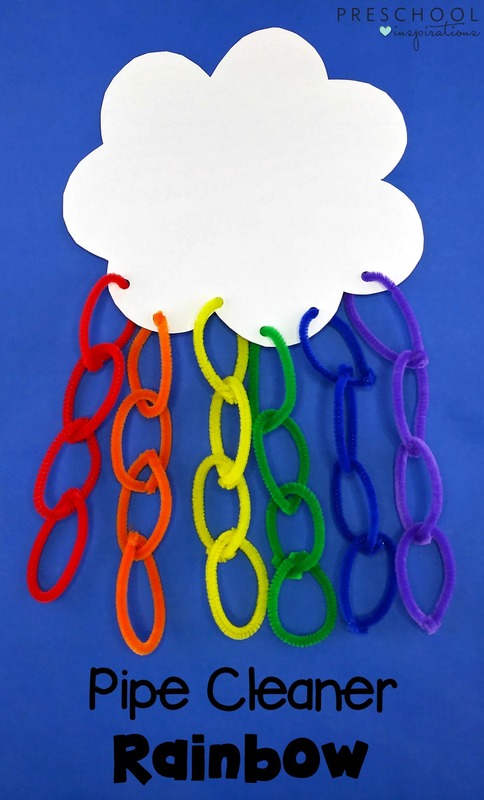 One of my favorite things about this simple rainbow craft is that it is inexpensive to make. If you don’t already have all the supplies in your classroom or at home, you can usually find everything you need at the Dollar Store. 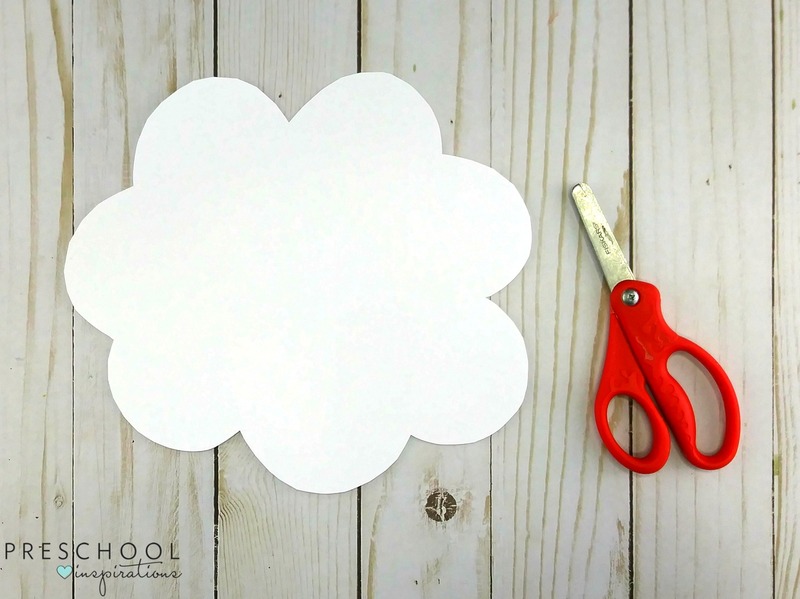 To begin making this preschool rainbow craft, the children will draw a cloud on a piece of white card stock or paper plate. They will then cut the cloud out. 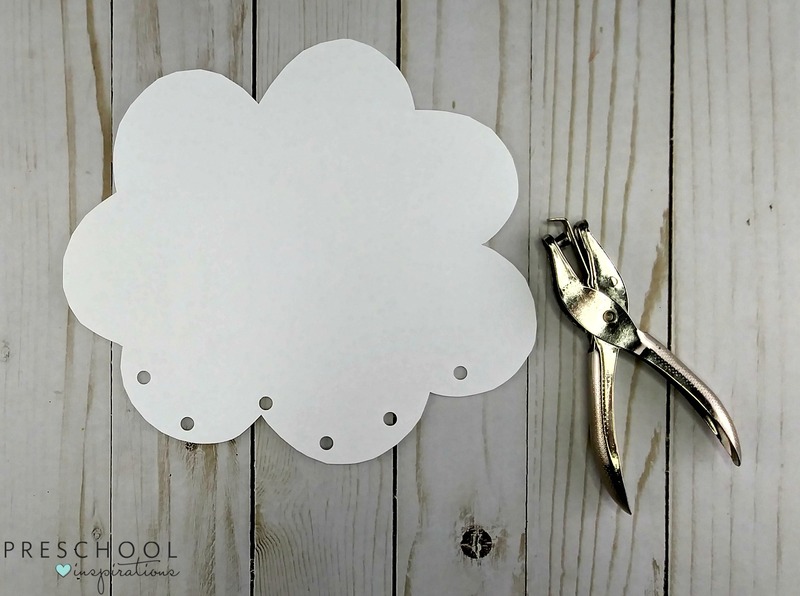 Next, the children will use the hole punch and punch holes on the bottom of the cloud for each color pipe cleaner that they will use. After punching the holes, the children will cut the pipe cleaners in half so each one is about three or four inches long and sort them by color. 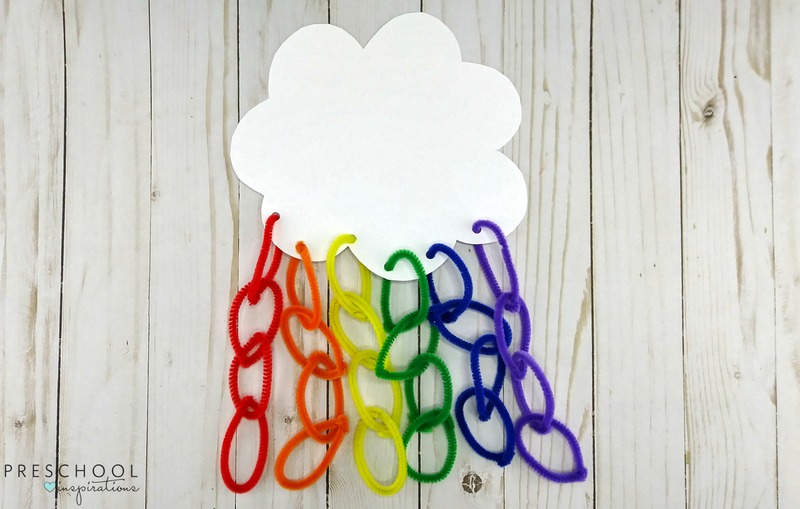 To create the rainbow, the children will begin with the red pipe cleaner and thread one piece through the hole in the cloud. They will then bend the pipe cleaner to create a circle and connect the ends. Next, the children will thread another piece of red pipe cleaner though the first one and connect the ends together. They will continue to connect the pipe cleaner pieces together until all of the reds are connected. Finally, the children will continue to connect all of the pipe cleaners by color until they create their rainbow. 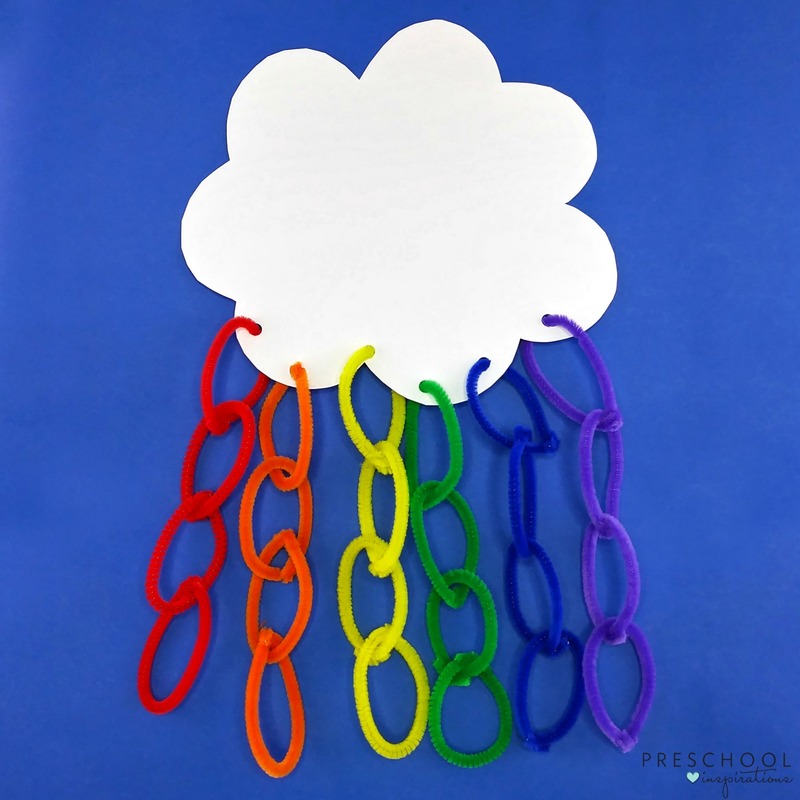 This preschool rainbow craft is a fun activity for St. Patrick’s Day, Spring, or even your unit on weather. 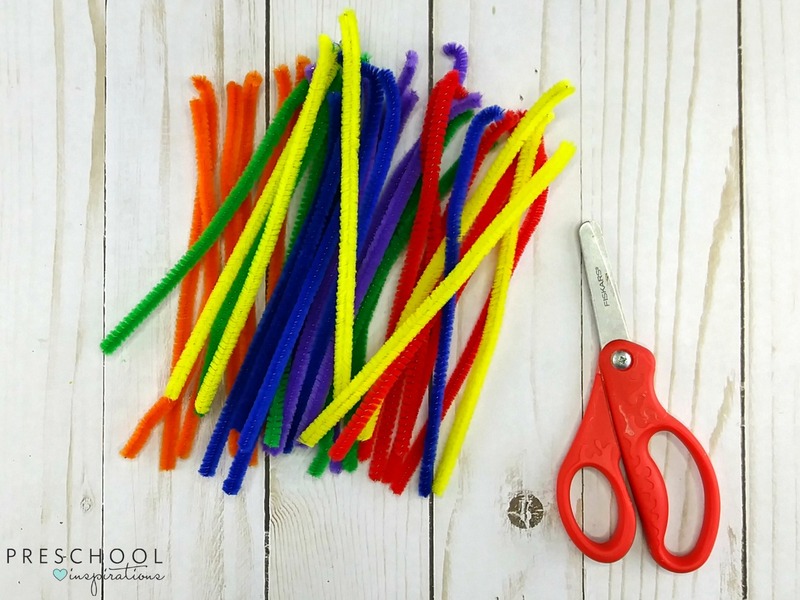 Connecting the pipe cleaners together is also a great way for young children to develop their fine motor skills.